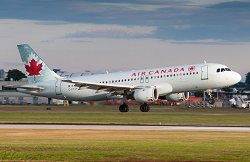 On 29 March 2015, an Air Canada Airbus Industrie A320-211 (registration C-FTJP, serial number 233), operating as Air Canada flight 624, was on a scheduled flight from Toronto/Lester B. Pearson International Airport, Ontario, to Halifax/Stanfield International Airport, Nova Scotia, with 133 passengers and 5 crew members on board. 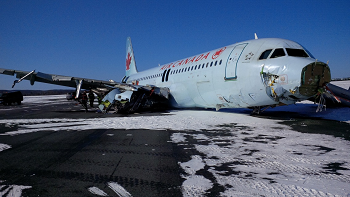 At approximately 0030 Atlantic Daylight Time, while conducting a non-precision approach to Runway 05, the aircraft severed power lines, then struck the snow-covered ground about 740 feet before the runway threshold. The aircraft continued airborne through the localizer antenna array, then struck the ground twice more before sliding along the runway. It came to rest on the left side of the runway, about 1900 feet beyond the threshold. 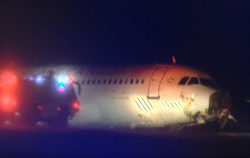 The aircraft was evacuated; 25 people sustained injuries and were taken to local hospitals. The aircraft was destroyed. There was no post-impact fire. The emergency locator transmitter was not activated. 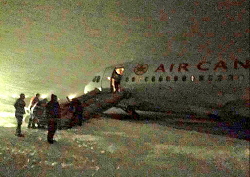 The accident occurred during the hours of darkness.Air Canada flight AC 624 delayed its arrival at Halifax International Airport, Nova Scotia because of snowfall and adverse weather conditions and entered a holding pattern west of the city. 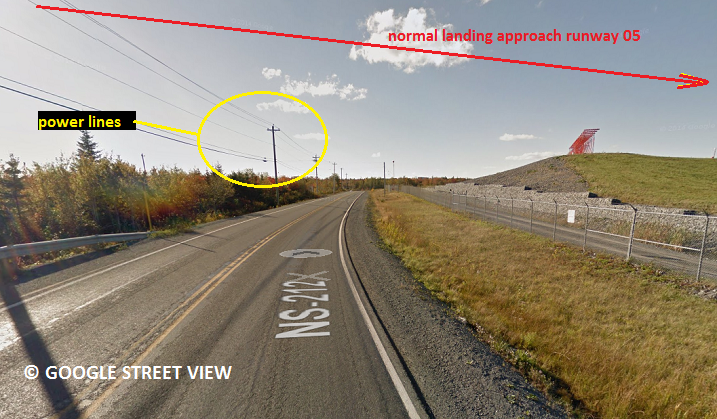 After about 45 minutes, an approach was continued for a non-precision Localizer/NDB approach to runway 05. At that time visibility at the aircraft was reduced by snowfall, additionally strong wings of up to 28 knots were blowing. 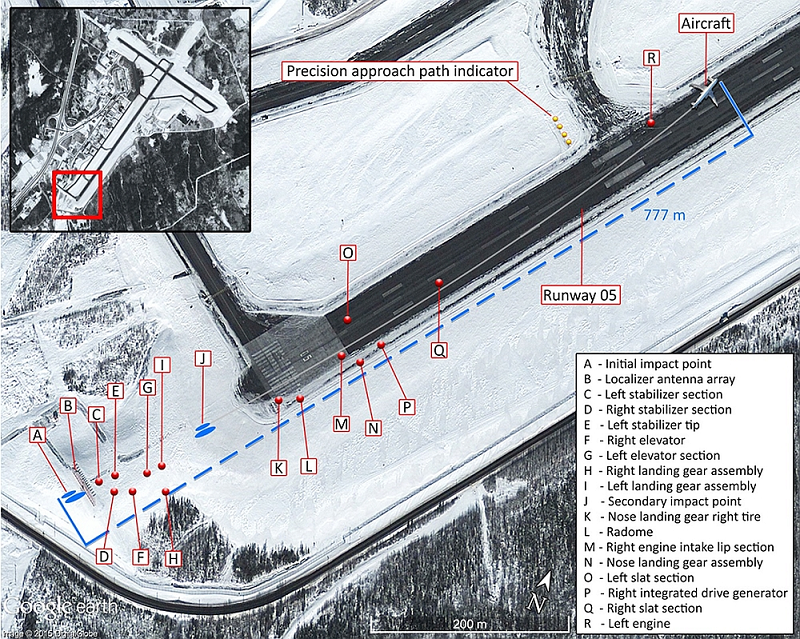 The Airbus A320 descended well below the proper approach path until it impacted uphill about 200 meters before the runway threshold. 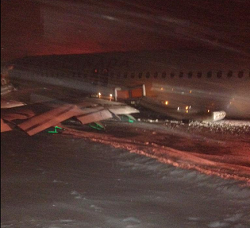 It smashed against localizer antenna and veered off the runway. Before it came to rest in snow, one engine was ripped off, the other was crushed and the entire maingear collapsed. Both wings leading edges were shattered. 80 % of the right stabilizer was torn off. 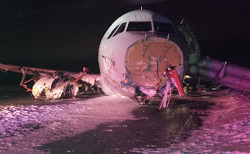 Parts of the localizer antenna became entangled in the aircraft´s nose. 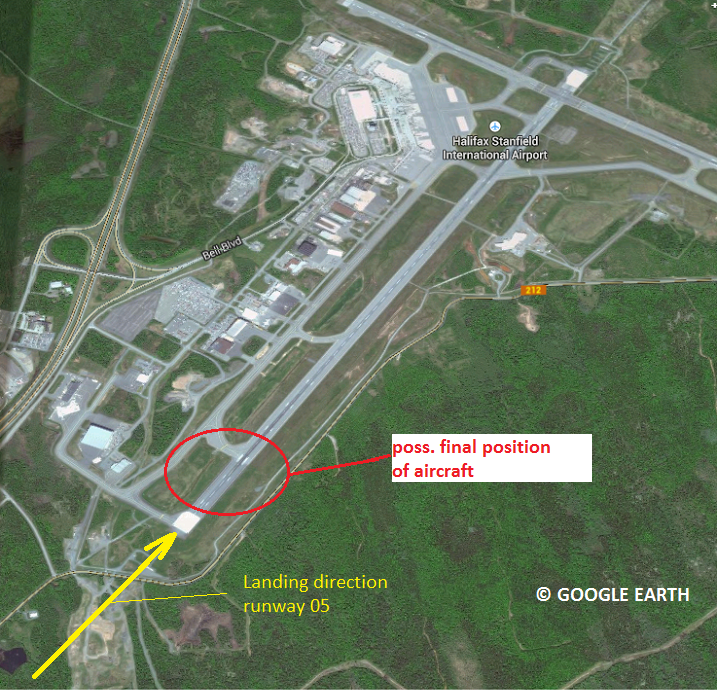 Flight AC 624 drifted to the left and came to a stop beside taxiway „Bravo“ which is close to the beginning of runway 05. Evacuation was initiated via emergency chutes. All survived, but 23 people were treated in hospitals for non-life-threatening injuries. According ot local media reports, the A320 eventually touched down about 300 meters short of the runway where it clipped a powerline causing a massive power outage at the airport. At the time runway 05/23 is closed completely. The shorter runway 14/32 is due to open for traffic at 0600L. 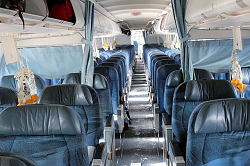 Canadian Transport Safety Board is investigating.